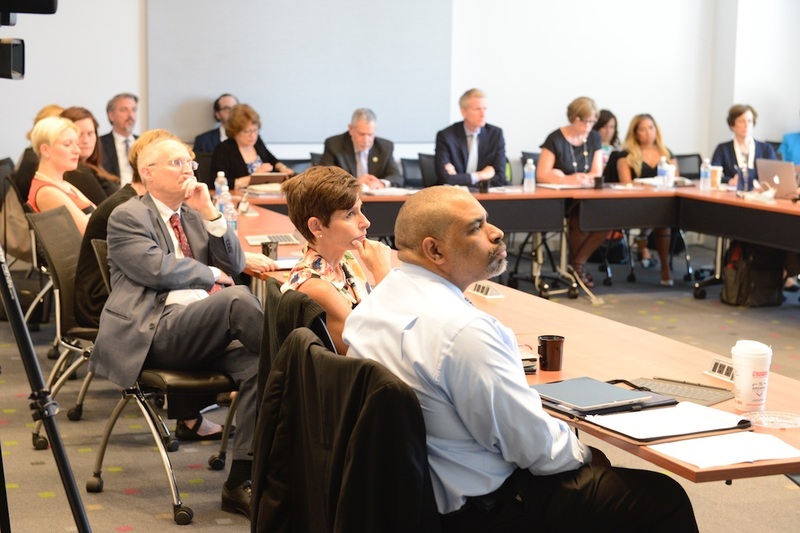 Special event gathered experts in NYC to strengthen collaboration among HETS member institutions. 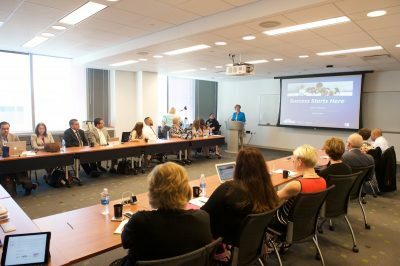 Concurrent with its Summer Board of Directors Meeting, HETS celebrated a special event in New York City for Admissions, Distance Learning and Information Technology Directors on June, 28 2017, at Borough of Manhattan Community College (BMCC). The main purpose of this event was to identify strategies, and explore ways to collaborate through HETS on maximizing the assistance for transfer students including attending the particular issues that also distance learning students would face. The session was directed by Ms. Yubelkys Montalvo, HETS Executive Director, and Ms. Diane Walleser, Vice President for Enrollment Management at BMCC who also moderated the topic discussion. To access and read Ms. Montalvo’s presentation click here. For Diane Walleser’s presentation click here. HETS Vice Chair, Dr. Gloria Baquero and Chair, Dr. Carlos Vargas during the event with other participants. 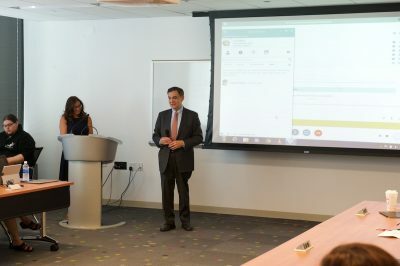 gas (Chair), Dr. Gloria Baquero (Vice Chair), and Dr. Carlos Morales (Regional Representative) welcomed all attendees along with Dr. Antonio Pérez, President of BMCC, who hosted this event. 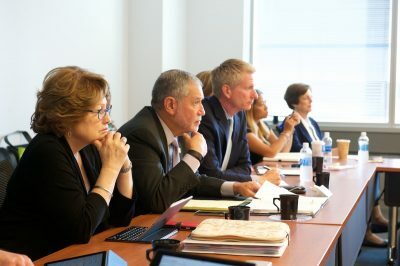 The event closed with a brief presentation of the discussion results and recommendations to the HETS Board of Directors which allowed HETS to learn more about student needs and the best ways to create additional support services for them and our member institutions. HETS would like to recognize BMCC’s staff that helped with the setup of their outstanding facilities at Fiterman Hall and the live transmission and recording of the event. To watch the recording of this event click here. For more information about this event, and how to get involved, please contact us via email info@hets.org or just call us at (787) 250-1912 exts. 2372 / 2373.